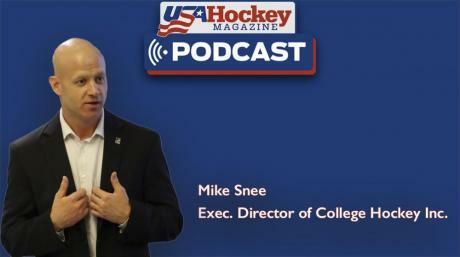 This podcasts features Executive Director of College Hockey Inc. Mike Snee. Snee talks to us about the start of a new college hockey season, the pipeline to the NHL and possible changes and additions to the college hockey landscape in the latest episode of the USA Hockey Magazine Podcast. Follow us on Facebook, Instagram, and Twitter for more from USA Hockey Magazine. Stay tuned for our next podcast, which goes live on Thursday, Oct. 18.